Husqvarna Chainsaw Review - Best Chainsaw? This Husqvarna chainsaw review is designed to do one thing. Give an honest, detailed review of a tool we use regularly around our house. About 8 years ago we bought a house and heated it with propane. We did that for one winter and decided we needed to explore an alternative heating option. After a lot of research and some number crunching we purchased an outdoor wood furnace and have never looked back. No more worrying about the price of propane (which has only gone up) and our thermostat is always set to 74 degrees (we like it warm). 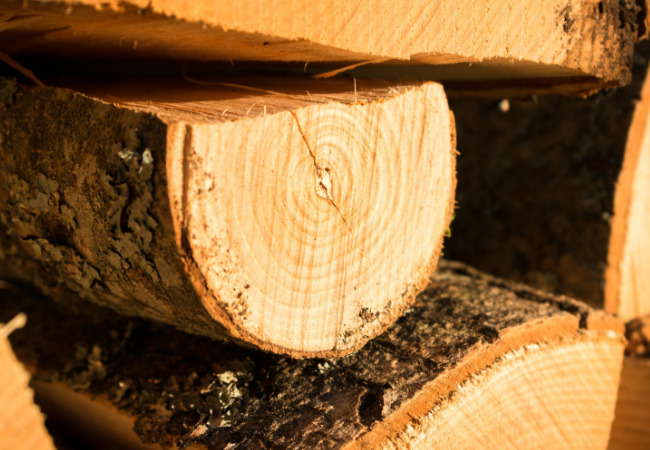 One average, we burn around 10 full cords of firewood each year. Here in northern Michigan we start the furnace in September or October and it runs until April or May. Our first year was a learning experience. I had a Craftsman chainsaw that worked great for cutting a tree every once in a while. However, it was clear that I needed to upgrade to a more powerful chainsaw. Then, one day while cutting some firewood in our field the chainsaw seized up. The saw was always properly maintained and the fuel mixture was correct...the saw just quit! Since my only chainsaw just seized up, it was apparent I needed to find a replacement. I started my quest to find the perfect saw. Stihl and Husqvarna might just be the two most recognized names in chainsaw equipment. Which one is better? It just depends on who you ask. Throughout the years I have used both. After hours of online research and talking to family and friends, I decided to purchase the Husqvarna 345 chainsaw. I bought the saw online, it came with additional chains and was shipped directly to my door. I ordered the Husqvarna 345 with the expectation that it would be a good, quality, midsize chainsaw capable of cutting 10 full cords of firewood a year. After around 10 years of use, I am completely satisfied and happy with my purchase. In fact, I am so satisfied with this chainsaw that it prompted me to write this Husqvarna chainsaw review. The first time I used this saw it was apparent it was way more powerful than the Craftsman chainsaw I was used to. Although it's loud, the saw easily cuts though anything I've attempted. 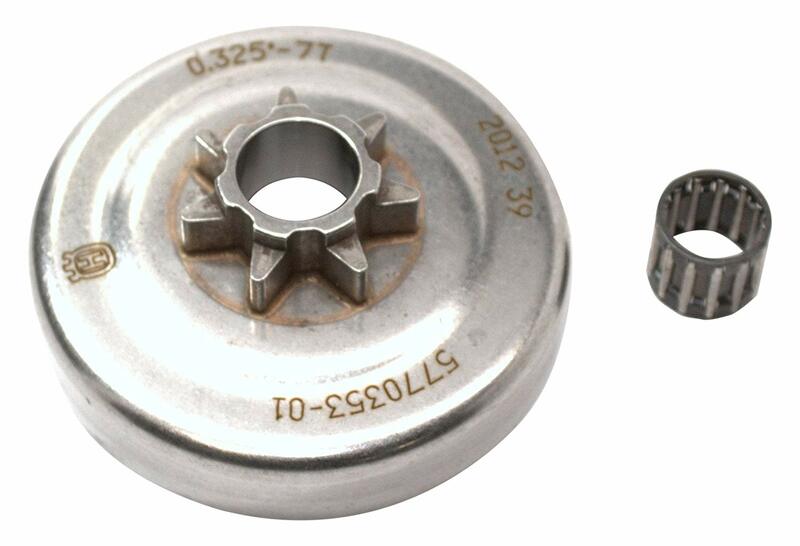 With routine maintenance like changing the spark plug and air filter, the saw has been very reliable. On the low side, I estimate I have cut at least 70 cords of wood with this saw. The saw still runs like the day I bought it. Problems with the chainsaw? So far I have had two. On two occasions I have had a wire on the on/off switch become disconnected. It's an easy fix, just remove the engine cover and slide the wire back on. I crimped it on a little tighter this time and haven't had a problem in several years. I also had the bearings on the clutch drum become warn out, possibly from having the chain too tight which would be my fault. Changing the bearings were easy. I bought a replacement from a local supply store and easily fixed it myself in about an hour. Whats my overall opinion in this Husqvarna chainsaw review? Husqvarna makes a quality chainsaw that has easily met and exceeded my expectations. 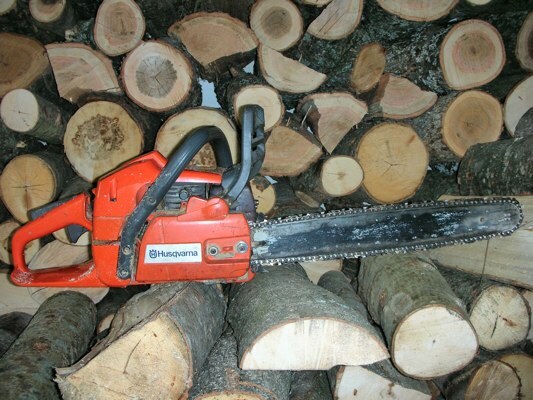 There are many other great chainsaws on the market but the next chainsaw I buy will be a Husqvarna.